The county immediately saw the number of felony drug convictions drop sharply. 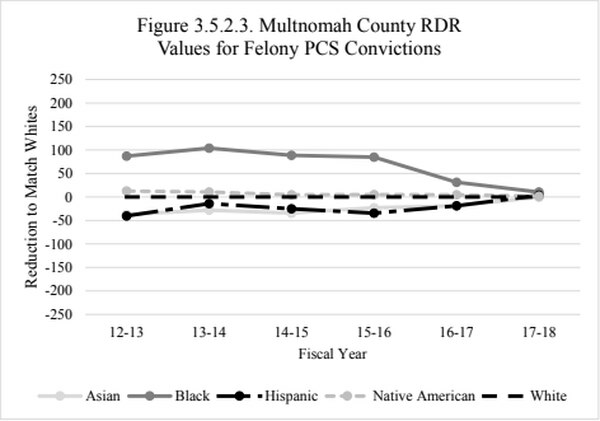 A shift in prosecuting strategy that allows some drug offenders to be charged with misdemeanors instead of felonies led to plummeting felony conviction rates for all racial demographics in Multnomah County, according to a Sept. 15 Criminal Justice Commission report. Multnomah County adopted the policy change last year, months before the state passed a law in August 2017 allowing some felony drug possession charges to be reduced to misdemeanors. The county immediately saw the number of felony drug convictions drop sharply, though it had been already been on a slight decline. Prosecutors in Multnomah County went even further than House Bill 2355 prescribed, allowing people to avoid felony convictions even in some circumstances when a defendant is involved in low-level drug sales or has a previous felony conviction. The new approach has dramatically decreased the number of felony drug convictions in the county—and at the same time racial disparities among those individuals who were convicted of felony drug charges has fallen. "The Criminal Justice Commissions report shows that we have done extremely good work in dramatically reducing racial disparities in Multnomah County," says District Attorney Rod Underhill. "The Multnomah County District Attorney's Office is committed to continuing to make our criminal justice system a fair and just system for everyone." In past years, black and Native American defendants were particularly overrepresented in felony drug convictions, with conviction rates that were up to three times higher than the rate for white defendants. Black and Native American defendants are still convicted of felony drug charges at higher rates than white defendants, but the rates are down from more than 300 in 100,000 persons to less than 50 in 100,000 persons. The raw differential representation (RDR) for felony drug convictions, which measures racial disparities, approached zero in the 2017-2018 fiscal year. "In Multnomah County the number of individuals convicted of felony [possession of a controlled substance] has fallen substantially to only 44 in 2017-2018," the report says. "When disaggregated by race, this means that only two Asians, twelve Blacks, seven Hispanics, two Native Americans, and twenty-one Whites were convicted of felony PCS." Multnomah County's conviction rate is also far below the rest of the state. 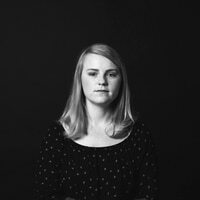 Both the dip in racial disparities and the overall decrease in felony convictions is likely connected to the prosecutors' aggressive approach to pursuing misdemeanors in its Treatment First program, which aims to connect people arrested for addiction-driven crimes with social services. to reductions in the number of felony PCS convictions in the county," the report says. 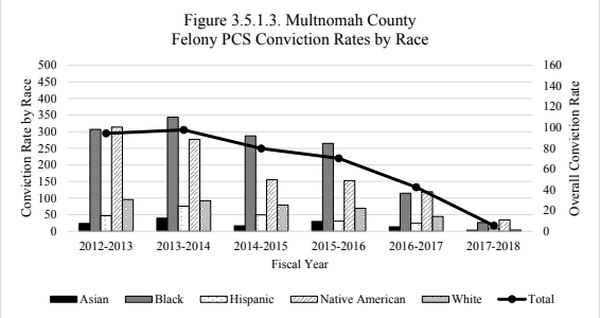 "This, however, should not obscure the fact that the reductions in felony convictions in Multnomah County have substantially reduced the magnitude of the human impact on racial inequality on those who would otherwise have been convicted of felonies in the past."